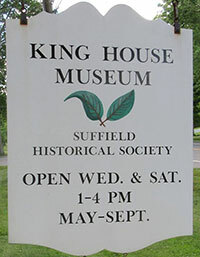 The Suffield Historical Society is a non-profit organization devoted to preserving and disseminating Suffield history. Visit Us at the King House Museum! Wednesdays and Saturdays 1:00 - 4:00 p.m.